BNP Paribas became the first European bank to sign a global partnership with Snapchat with an objective to become a go-to bank for the millennial generation. BNP Paribas Snapchat followers can expect to see animated filters, Geofilters and Snap Ads promoting the bank’s major projects such as the release in cinemas of Valerian or the Roland-Garros tennis tournament. With 158 million daily users who view over 10 billion videos and exchange over 2.5 billion snaps worldwide every day and over 53 million daily active users in Europe (December 2016), the bank aims to engage with the younger audience via a series of snaps demonstrating its culture and introducing its employees. According to the bank's announcement, "the new generation forms a very important prospective customer group for Retail banking products and services and it is vital for BNP Paribas to go out and meet them, interact with them and to promote the Bank’s product and service range in an innovative manner." In 2016,BNP Paribas successfully launched #CampusStories, the first Snapchat guide for students studying abroad. Over 100,000 people subscribed to the channel and the bank generated 3 million Snap views over 8 days of the campaign. Following its bold move, it was awarded Gold award in the banking and insurance category at the “Grand Prix du Brand Content”. While BNP Paribas will promote its banking products on Snapchat, it sees its Snapchat followers not only as potential customers but also as potential employees. A major player in young employment in France, in 2017 the bank is planning to recruit 2,000 young staff on work-study contracts and 350 on in-company voluntary work assignments overseas under France’s VIE program. To promote the brand among potential employees, BNP Paribas ran a Snapchat Recruitment Week in November 2016 featuring its employees from different countries. In their Snapchat takeovers, the bank's recruiters explained how they find job candidates, how to write a good CV, what it takes to get a job at BNP Paribas and what to expect when one gets the job. "Our challenge is to be present where our core target is while simultaneously speaking the same language as Millennials, the new generation. They are our future co-workers and future clients," said Bertrand Cizeau, BNP Paribas Group Head of Communications. BNP Paribas' effort is paying off: on the popular employer review and job portal Glassdoor the company has 85% CEO approval rating and 68% would recommend the company to a friend. "The leading bank on social networks"
BNP Paribas lives up to its promise to be present across a variety of social media platforms delivering engaging content with a personal touch. Apart from Snapchat, the company is present on LinkedIn, Twitter, Instagram, YouTube, Pinterest. It has been also sharing Snapchat Stories highlights in a form of a TV news report on YouTube and across other social platforms, making sure that young followers catch them, whether they are already following the company on Snapchat or not. You can follow BNP Paribas Snapchat account by opening your Snapchat app and pressing and holding the camera screen while pointing the phone on the code. 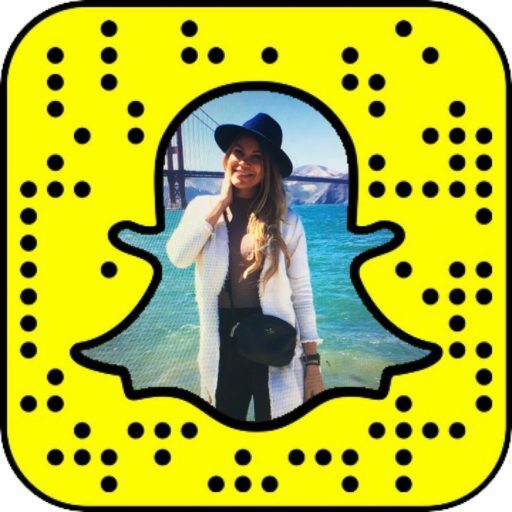 You will see a pop up window that will suggest that you follow the brand on Snapchat. Alternatively, you can 'add friends' using snapcode and tap the bank's Snapchat username.